I was actually disappointed when I woke up on the morning of 30th May, to check commercial activities on Dei Dei International Building Materials Market here in Abuja. The reason of my tour to the market was to ascertain the level of compliance to the sit at home order by the Biafran traders in the market. On getting to the timber segment of the market, it was a total shut down, as traders of Biafran extraction were nowhere to be found in the market. Their shops were locked and keyed for business. 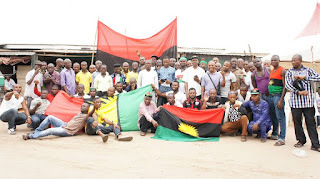 Their observance to the order was indeed a credit to the IPOB zone 3 who took time in carrying out their sensitisation campaign to these traders as directed by the leader of the Indigenous People of Biafra (Mazi Nnamdi Kanu). The above event got me excited that I retired home to follow up events around Biafraland as regards to the sit at home exercise. Logging in to my Facebook account, I was welcomed with the breaking news and pictorial proves of closed down UTC Abuja and new market Lugbe. To me, it was an audible voice and message to the world of our resolve to be free from British Nigeria. 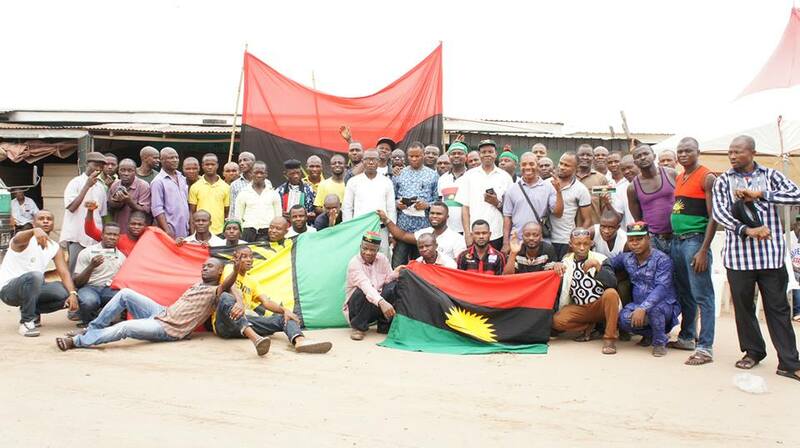 I was over joyous to see uploaded videos and pictures of total shutdown of Biafraland on social media. It was indeed a new dimension for the struggle. Those who still believe in the disgraced and fading away system of “Governors in Biafraland being in charge of socio economic activities” in Biafraland should burry their heads in shame. Seeing major media houses locally and internationally reporting the sit at home exercise by Biafrans, reminded me of our leader’s (MAZI NNAMDI KANU) word, "we will not pay any media house to talk about us, but they will be forced to do so when the time comes". This prophecy just happened before my very own eyes! We call on the senators and governors in Biafra land to push for Biafra referendum, also we call on the international community to ask Nigeria government to give us a date for our referendum.